Ofcom works to ensure everyone gets the very best from their communications. Our role is to look at how issues affect UK consumers as a whole. We cannot handle individual complaints. However, we fully understand how frustrating it can be when things go wrong. That’s why we have improved the way phone and broadband providers deal with your complaints. Contact your provider’s customer services department and explain your problem. ADRs act as an independent middleman and will examine the case from both sides and reach a decision they think fair. If eight weeks have passed since you first formally complained you can contact the ADR directly. There are two ADR schemes - Ombudsman Services: Communications, and the Communications and Internet Services Adjudication Scheme (CISAS). All service providers must belong to one of the schemes. Your provider will tell you which scheme it is a member of, or you can use our ADR checker. 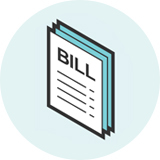 If you have had billing problems, please let us know by filling out our short monitoring form. If you need advice or if you’d like to let us know about your experiences with a telecoms provider, this section of the website will be helpful.